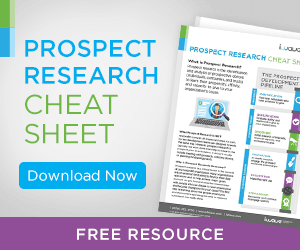 Whether you are a veteran prospect researcher or this is your first time attempting a prospect screen, here are some fast tips for you to think about over your next coffee break. 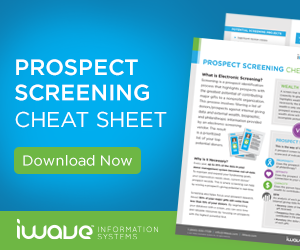 Please note: some of these tips are specific to iWave’s screening solution, PROscreen. First of all, remember to screen early, screen often. A development thought-leader at Apra’s ARC conference suggested that 25% of an organization’s data is lost every year – that means each year, up to 25% of your donors churn out for a variety of reasons. 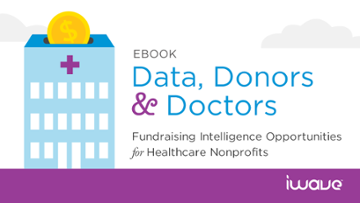 Since screening is now automated and easy to customize and update, researchers and fundraisers can screen batches of donors throughout the year to keep the database current and relevant. When beginning a prospect screen, the first step is to determine your goals. What do you want to gain from this screen? Maybe you are only interested in creating quick profiles for a handful of prospects, or maybe you are screening your entire database. Next, download the screen template from your screening tool to see the minimum input requirements (First/Last Name, City, State, and Country). Next, be mindful to maintain the screen template’s original format. Removing or rearranging the columns will result in a processing failure. Adding additional columns is possible and encouraged depending on your screening goals – just remember to keep the existing columns in their original place. When training clients to perform individual searches in PRO, we often suggest “less is more.” With a screen, the opposite is true. Use any available information when filling out the screen template. Ideas include: Full Name (with initials), Full Address, Spouse’s Name, and Recent Giving Information (if applicable). In PROscreen, Confidence of Match controls the matching of records to individuals. Each record involves a ‘score’ on a 1-10 scale indicating the tool’s confidence in a record match. The higher you set the COM, the stricter the matching algorithm will be – so it will be matching against more input criteria. This will give you more accurate results, but it will also result in fewer records being returned. With a lower COM setting, more records will be returned, but there is also the possibility of returning information that does not pertain to your prospects. 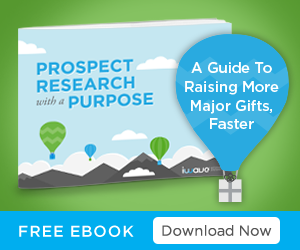 Not every major gift donor will have a strong connection to your cause. Therefore to help find the best prospects, include affinity in your screen. In your tool’s settings, select from a list of affinity categories such as Education, Healthcare, Arts & Culture, and many more. Not every gift is made equal. 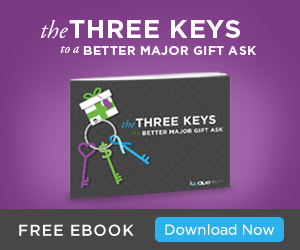 Rather, what one organization considers a “major gift” could be very different for another. Consequently, be sure to customize your settings to reflect your expectations of a strong prospect’s capacity rating. A default prospect score is a 33% average between propensity, affinity, and capacity, but you can easily adjust the weighting. If you want to prioritize wealthy prospects over other considerations, increase the capacity percentage. If your screening solution includes RFM (Recency-Frequency-Monetary) scoring, you can use this feature to uncover major gifts that might be hiding in your database. Maybe there is a longtime mid-level donor who has the right capacity to warrant a larger “ask.” You can input Total Gift Count, Total Gift Amount, and Last Gift Date in the screening template to unlock RFM insight. Most of all, “If all else fails, read the instruction manual.” Actually, we recommend registering for training as a first step. At iWave, our Client Services team is ready to help you with one-on-one, personalized training. You can also sign up for our recurring PROscreen webinar here. 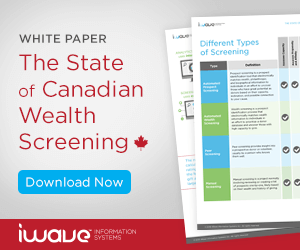 Even if screening is old-hat for you, there are constant updates to your screening tool. Check in often for updates, new features, and ways to better optimize your tool. About the author: Ryan McCarvill joined the iWave team in 2016. Ryan enjoys meeting and learning from nonprofit professionals, researching trends in the nonprofit community, and offering strategies for development teams to use iWave’s solutions to meet and exceed their fundraising goals.